Large lawns that are too far gone, can also be replaced. It's always important to follow up with a good lawn care programme. At Total Lawn Care, by using our 5 step perfect lawn plan, we know that a healthy lawn will be able to cope with stress and disease much better than a tired lawn. 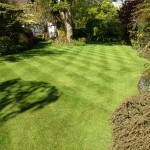 For this reason, we aim to make your lawn as healthy as possible, and at the same time promote safe use of pesticides. By creating a healthy lawn, the likely hood that we would need to treat for disease or pest problems is reduced drastically. 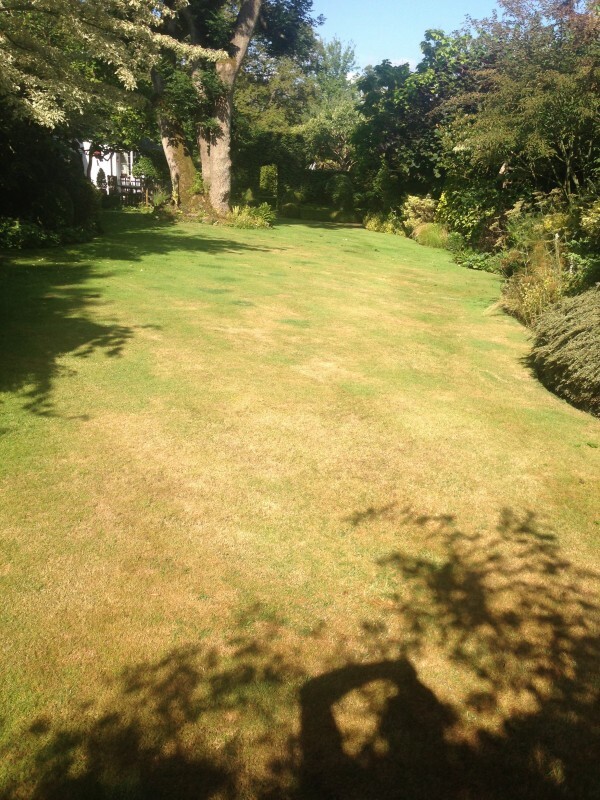 The other factor is that most of the problems that lawns suffer from can only be prevented, not cured. This is why our 5 step plan was created. 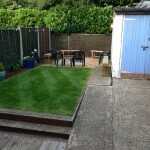 So that your lawn can grow to be healthy and to help it through the dry or wetter times of the year. To kill the moss before it is scarified out. 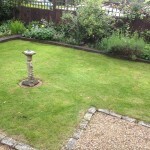 A liquid moss treatment is sprayed onto the lawn. (As soon as the spray has dried it is harmless to pets and wild life. In normal conditions, this should take around 20 minutes.) The moss will then change colour to a brown or black. The treatment will need at least 2 weeks to take effect, before step 2 can take place. To remove the moss and thatch that had built up from previous year or years, with the use of our Camon Professional lawn Scarifiers. 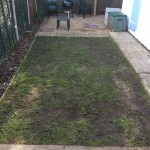 Then over seed to fill any gaps and to introduce new grass plants to the lawn. A granular spring feed helps grass plants with a slow release organic fertiliser for the first 8 weeks of the season. The second feed follows on from the spring feed, slowly releasing its nutrients over an 8 week period. Weed killer is sprayed at this time. (A liquid weed treatment is sprayed onto the lawn. As soon as the spray has dried it is harmless to pets and wild life. In normal conditions, this should take around 20 minutes). A liquid systemic weed killer is far more effective than a granule, less is needed and for this reason it has less impact on the environment. Once again, following on from the previous feed. Giving the lawn a steady balanced flow of nutrients for healthy growth over the next 8 weeks. Autumn feed, with a nutrient blend designed to help the roots grow through the winter months, released over 10 to 12 weeks. Aeration is extremely important, allowing the air, water and nutrients to get down to the roots, helping them to grow healthy and strong. This job is key to helping reduce the build up of thatch as well as helping to keep disease at bay and to promote healthy soil for the grass roots to develop, ready for the next year. Please click here to see us in action, clearing up after scarifying. 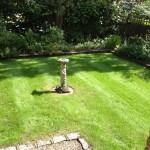 For a price or a quote for your lawn, please contact us today.